MAISTROS VILLAGE is situated in the graphic village of Karterados , just a kilometar from Fira, in the centre of the island of Santorini. 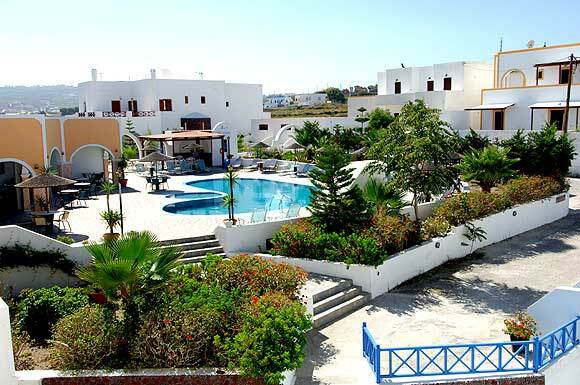 The complex (five buildings) consist of 40 apartments, maisonettes, studios and rooms, designed in the traditional style of the island, with all modern comforts. Each of those is individualy decoreted, and with a fully equipped kitchen (studios, apartments and maisonettes), refrigerators in rooms, telephone, 3 chanels music, satellite T.V, Air condition, hair dryer, private bathroom (with hot water 24 hours), daily clean services and balconies with a beautiful view. MAISTROS VILLAGE has a specious parking place for all its visitors, a swimming poll and kids pool, a breakfast lounge, a pool bar, a lounge with satelite television and nice gardens around. 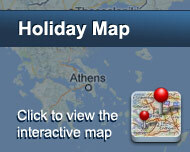 Near by are various shops, such as mini markets, coffee shops, tavernas, etc. Car - motorbike rental, excursion around the island can also be arranged trough the reception. Είστε ιδιοκτήτης ή διευθυντής στο MAISTROS VILLAGE; Εγγραφείτε τώρα για δωρεάν εργαλεία, που μπορείτε να χρησιμοποιήσετε για να βελτιώσετε την καταχώρησή σας και να συνδέσετε την ιστοσελίδα σας και το σύστημα κρατήσεών σας. From 28/5 to 5/6 and from 12/6 to 22/6 we offer 15% discount on our rates.